HDR photography is done using 3 or more bracketed images. 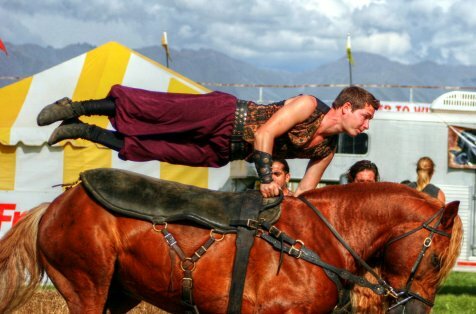 There are some instances though where taking three bracketed photos is not possible; for instance, action shots. In this tutorial I will show you what you can do if you only have one photo to work with. When I was in the Alaska state fair this summer, I took this picture an the equestrian show. I had my camera on sport mode and I like the timing of the shot. When I look at it though, it looks a bit bland and flat. Colors look desaturated and there is no real interesting contrast. This is where HDR comes in (For the record; I feel I should mention that what I am doing is not true HDR (since I only have a single non-raw image). I will be using tonemapping from an HDR program). Open the image in Luminance HDR. This is free software; I am using the 2.0 version. Once Luminance HDR is open, press the "New HDR image" button. Load your single image and press next. In the next screen, go ahead and use whatever default settings are listed. Once everything is loaded, press the "Tonemapping" button. Once tonemapping has loaded, you are presented with many different options. 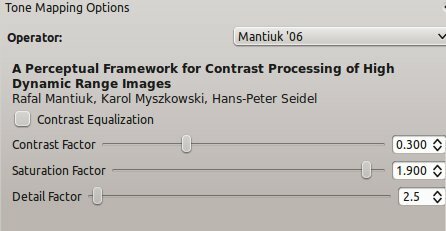 I like using the default of the Mantiuk Operator with Contrast at 3.0, Saturation at 1.9 and Detail Factor at 2.5. Change the drop down for your desired result size (probably the largest possible) then press apply. Save your image when it is done applying the tonemapping. At this point, you may be satisfied with your image and have a nice tonemapped image. I find that it looks a bit too fake for my liking and so I like to open it up in the Gimp. The nice thing about using only a single image for tonemapping is that the original image overlaps perfectly. 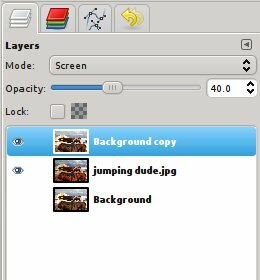 Open both your original image and the newly tonemapped image in Gimp. For this picture I placed the original image above the tonemapped image and changed the layer mode to screen and opacity to 40 percent. For the finishing touches, I merged the two images then applied Colors>Auto>Color Enhance and Colors>Levels>Auto. This is something that I do in a lot of my photos to give it a bit more life. It is very easy to do! If you find this tutorial useful, please press the Facebook button to share with your friends. I prefer the original... Sorry, but the "HDR" image looks overdone and oversaturated. Don't take it to heart, but I, and a lot of other people, prefer effects like this to be less over the top and more natural. I love your tutorials! Keep up the good work! It will send you quality traffic. Thanks, please give it a try, I`m waiting your feedback! Thanks for the link! I will give it a try. I love your tutorial. This is really great way of doing hdr photography with single image. I am impressed and fascinated towards your work..Keep it up man !! High Dynamic Range (HDR) Tutorial using 1 JPG states "how to convert simple images into awesome and inspiring one". Especially beginners will find this tutorial very useful in passion of increasing their HDR skills. I tried to follow along with the 2.3.0 version and I couldn't. Grr. I don't see an "apply" button. When I save it and try to view it later, it doesn't matter what size I save it as, it's very pixelated. What am I doing wrong? It's a great tutorial, although this was just not the right picture to implement it. The "HDR-look" is often a bit problematic when it comes to people in photos. It often leads to reddish complexions. I prefer it for landscape and architecture photography. Thanks for your comment. I agree with you. I did that tutorial quite a while ago... Obviously I am not a professional photographer. I would however like to go out and try again and perhaps replace the photos in the tutorial. I will certainly keep my eyes open! Hi, thanks for sharing. 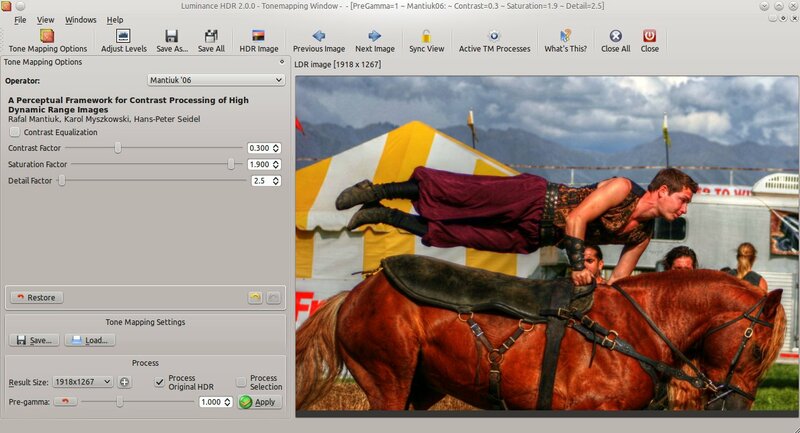 I think it woulb be better to play with exposure to make the horse look more natural and then adjust other parameters. 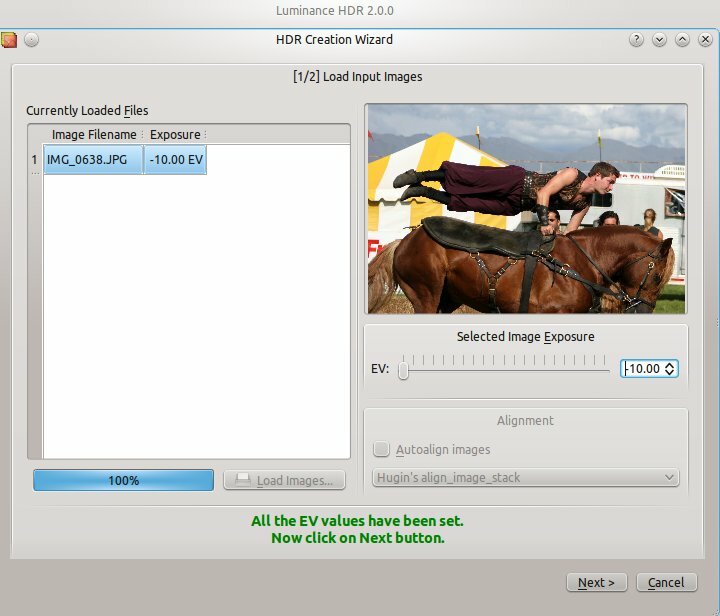 If you want to know how to create HDR from one single shot, visit http://softwarehdr.com/raw/.